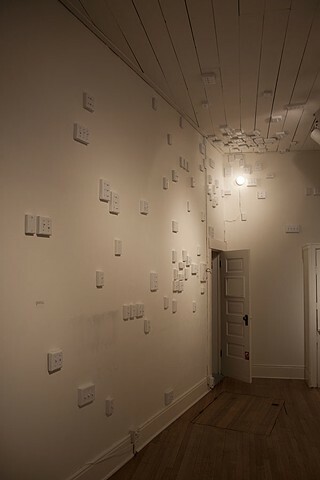 Interactive installation with altered found objects and electrical component. 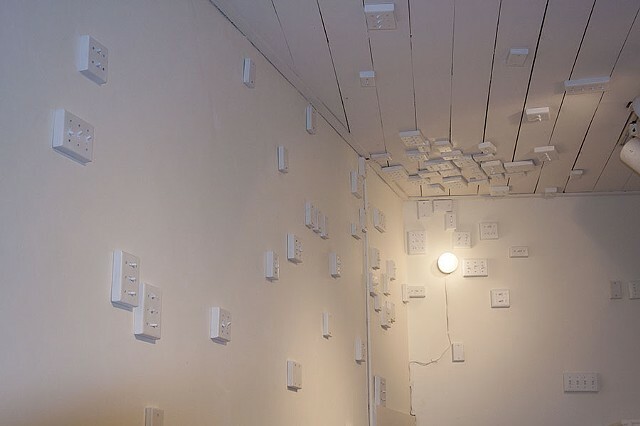 "functioned utilizes approximately 150 light switches and panels painted white and placed in varying arrangements on the walls, ceiling and floor. The viewer becomes involved with touching the pieces, as the switches are made to be flipped, eliciting sensory satisfaction. 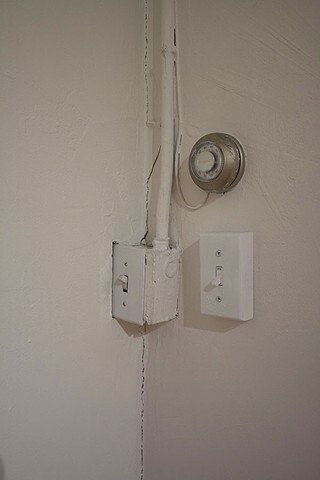 This creates an automatic, physical connection. 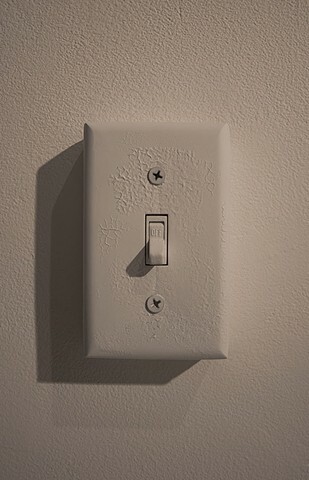 Light switches are found in homes; however, in this case there is an overabundance. This serves to replicate the experience of attributes of high functioning, Obsessive-Compulsive Disorder (OCD) and mania, which often, depending on the type of compulsion are co-morbid. Furthermore, one can associate light with brain functionality and sensory satisfaction. 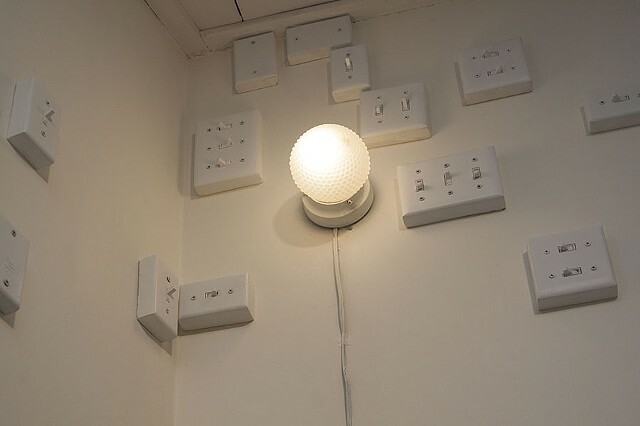 In order to turn on a single light, all of the switches must be used. Oftentimes, those with OCD create specific patterns of actions in order to function, which can take up time and create anxiety. I want this piece to elicit feelings of anxiety and obsessive-compulsive action from my audience. In this way, putting the viewer in the place of another,they may be able to understand an aspect of a person who lives with this type of functioning."